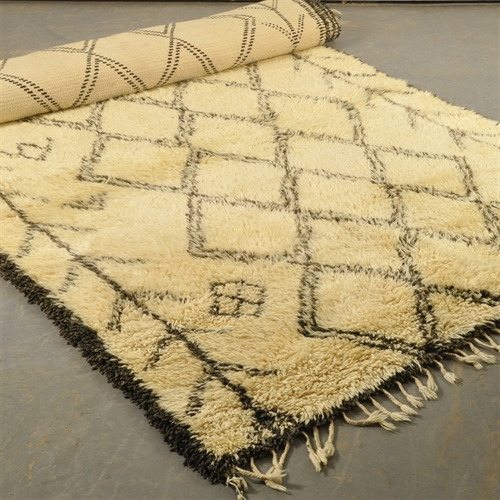 These authentic mid 20th Century rugs are from the Berbers in the Atlas Mountains. 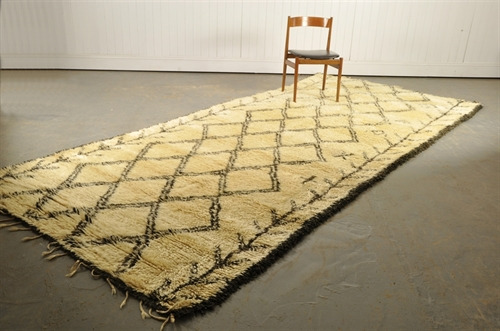 Handmade by women using the wool from the underbelly of the mountain sheep. Historically these heavy pile rugs were used to keep everyone warm in the high, windswept villages of the central mountains. These pile rugs would have been flipped over in the summer, pile side down to keep everything a bit cooler. 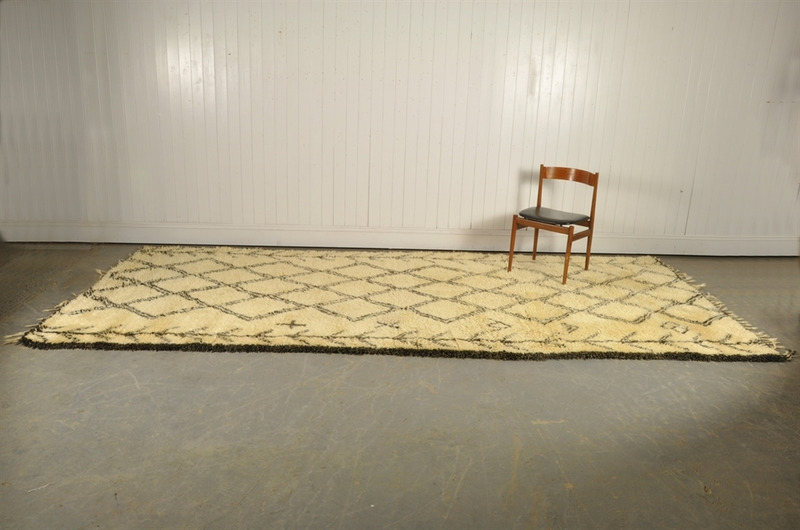 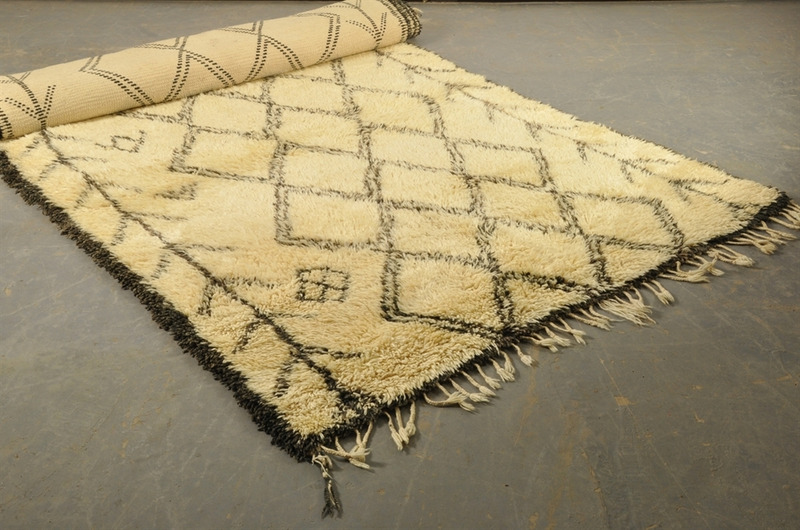 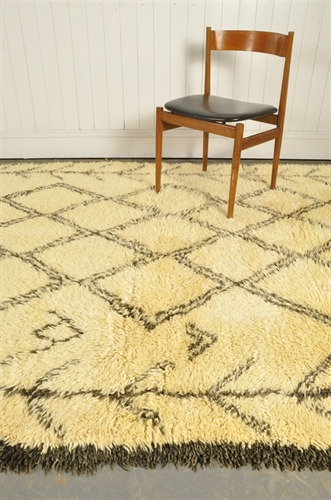 Each rug is signed with a symbol that matches the weavers tattoo - a Berber tradition. 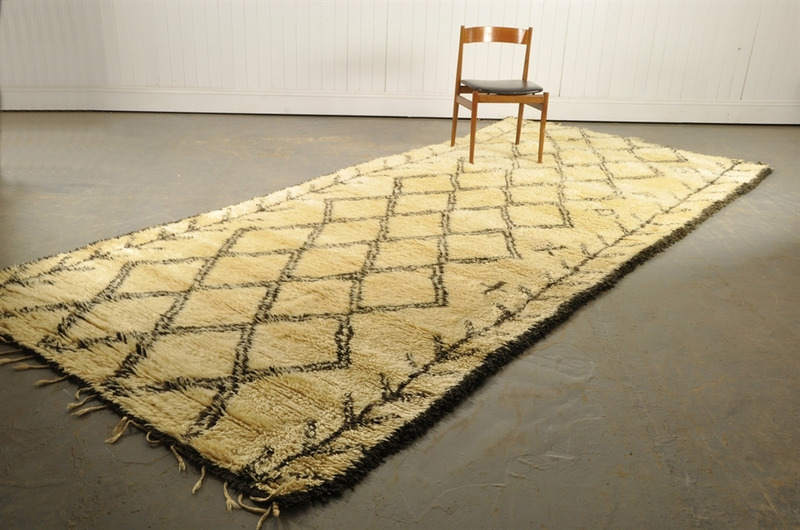 These rugs with their simple abstract patterns work brilliantly to blend contemporary interiors with vintage and industrial furniture. 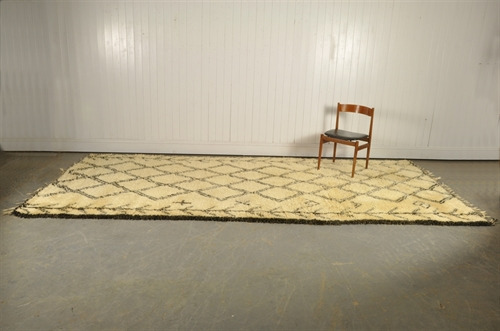 These are handmade between 1950 - 1960 and not modern reproductions.